Project Pink is Microsoft's secret new phone, their first major phone play since the iPhone. Here are the first pictures of Pink phones, Turtle and Pure. These phones are going to be made by Sharp, who'll get to share branding with Microsoft. 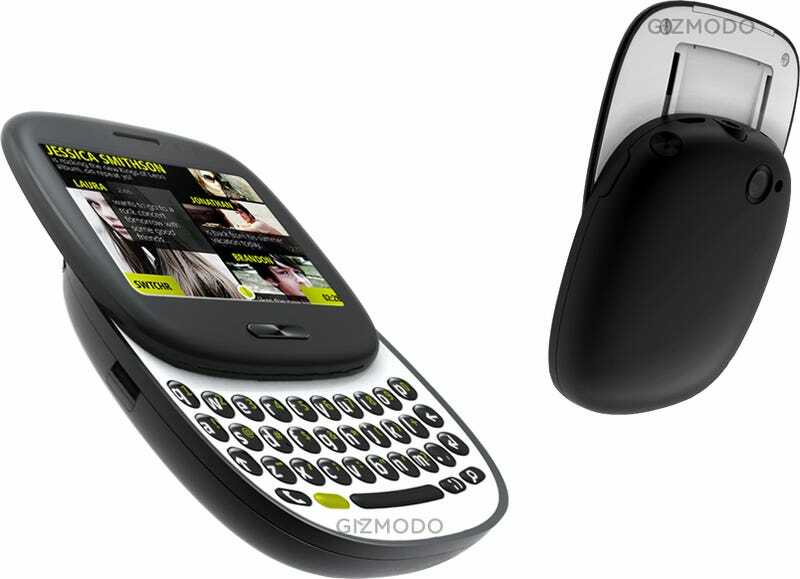 Sharp produced the Sidekick hardware for Danger, who was bought by Microsoft almost two years ago. Pink will be primarily aimed at the same market as the Sidekick, and the branding and identity for it is highly developed, pointing toward a later stage in the development cycle. The prior relationship between Danger and Sharp is the only reason we can think of why Microsoft stuck with Sharp for the new phones, and perhaps why they look so much like remixed Sidekicks. (Kind of yucky, that is.) The youth bent is somewhat surprising, if Pink is going to be their big consumer phone play, building off the expertise of Danger and members of the Zune team. The hardware design has a definite younger feeling: Turtle looks like a chunky child's version of a Palm Pre, while Pure seems like a standard slider, and both are clearly plastic, with an overall sense of roundedness, thanks to lots of soft angles and circular keys. It's been reported elsewhere that Pink phones will include Zune services, and have its own app store, making it as close to the Zune phone as we may get. We'll see if it's close enough in the coming months, though these are the only facts our source will let us safely publish for now.